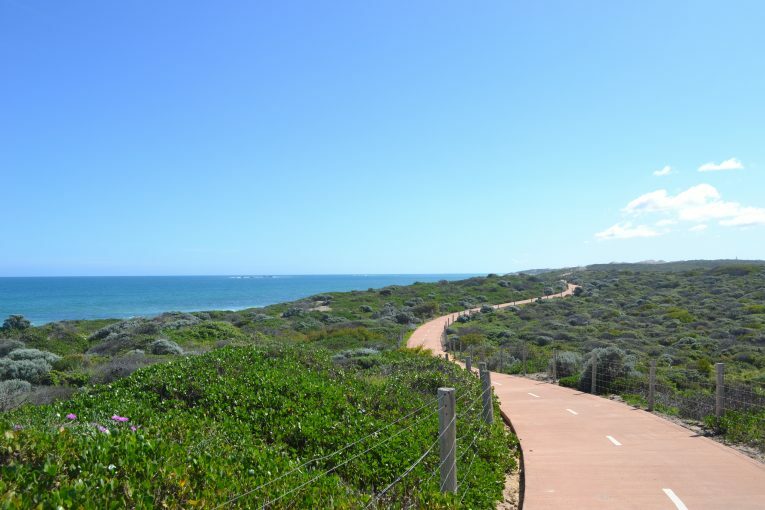 A family favourite, Burns Beach is a sheltered swimming spot that sits within the wildlife-rich waters of Marmion Marine Park. Walk the coastal path, relax on the white-sand beach, barbecue in the grassed parks, or just sit atop the limestone cliffs and drink in a spectacular Indian Ocean sunset. Look out for seabirds, dolphins, sea lions, rays and a huge diversity of other species from the lookout points. Interpretive signs along the way provide insights into the native flora, fauna and history of the area. Dine ocean-side at the café, or try chasing some fish by throwing in a line from the groyne or northern end of the beach.